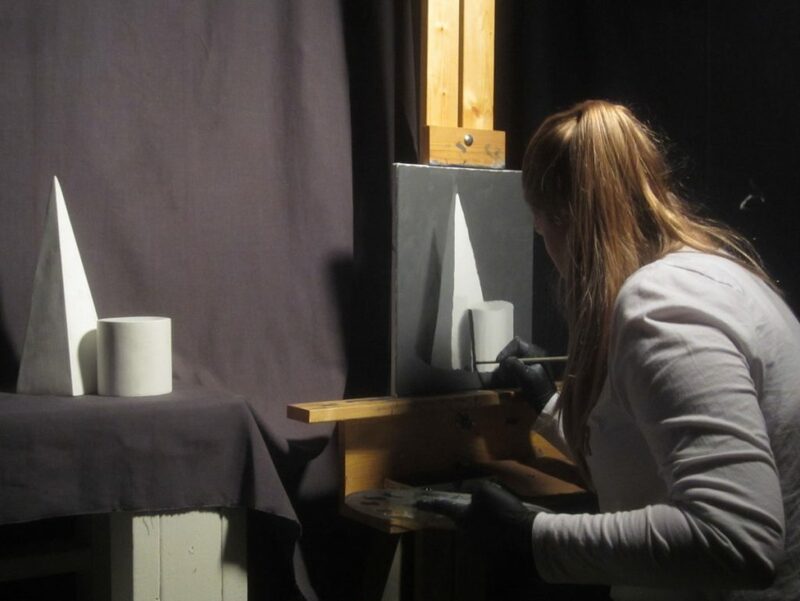 The high school class has been doing charcoal drawings and black and white oil paintings from plaster cast sculptures. They are doing an excellent job! 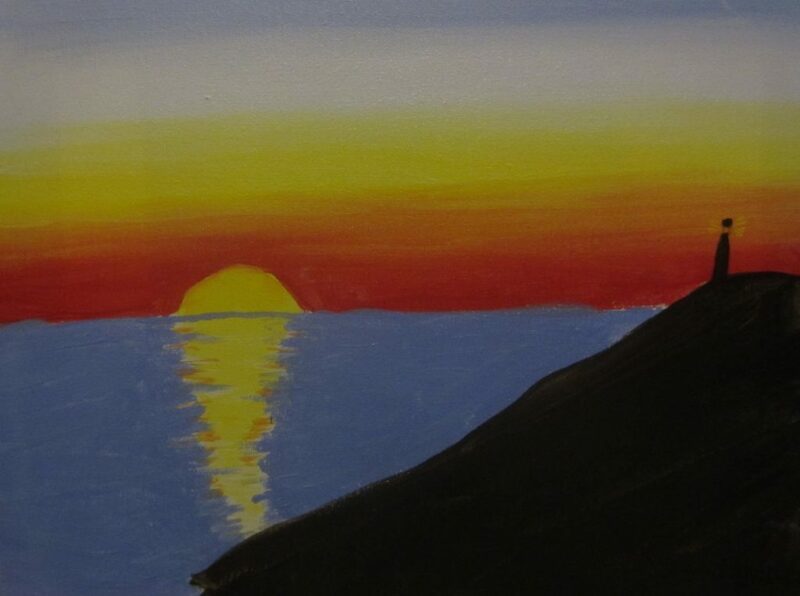 The middle school students have been focusing on painting, and this week they painted a sunset behind a lighthouse on the beach in acrylic paint on canvas. Beautiful! 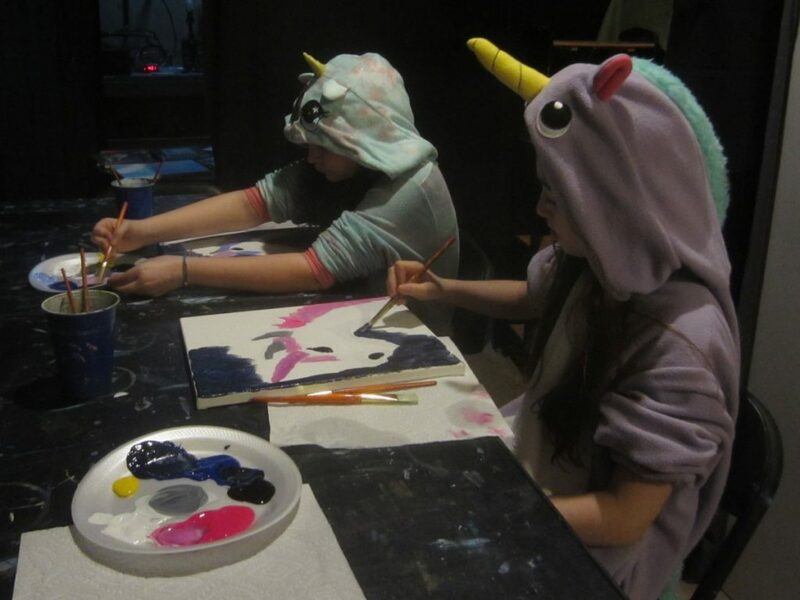 This week the students wore their unicorn pajamas while painting unicorns in acrylic paint on canvas. How fun! They did a great job! 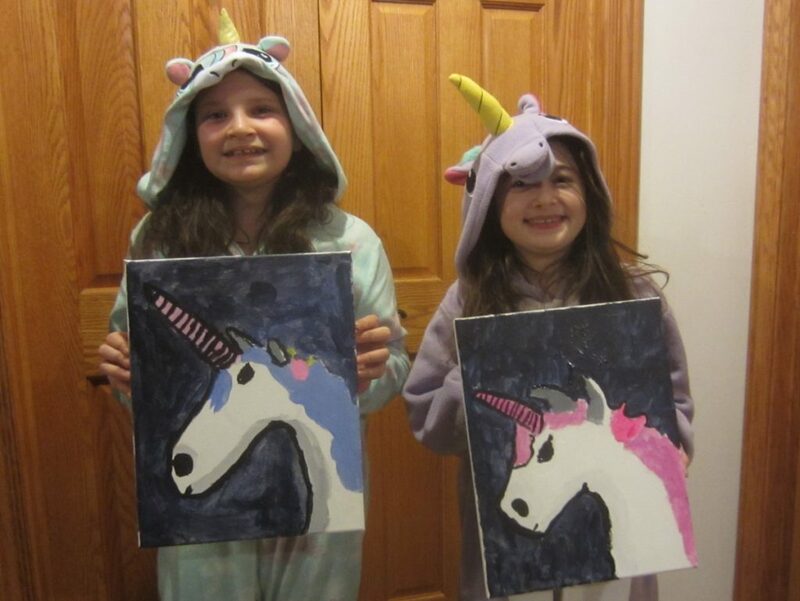 Scroll through the slideshow to see their unicorn paintings. Cute! 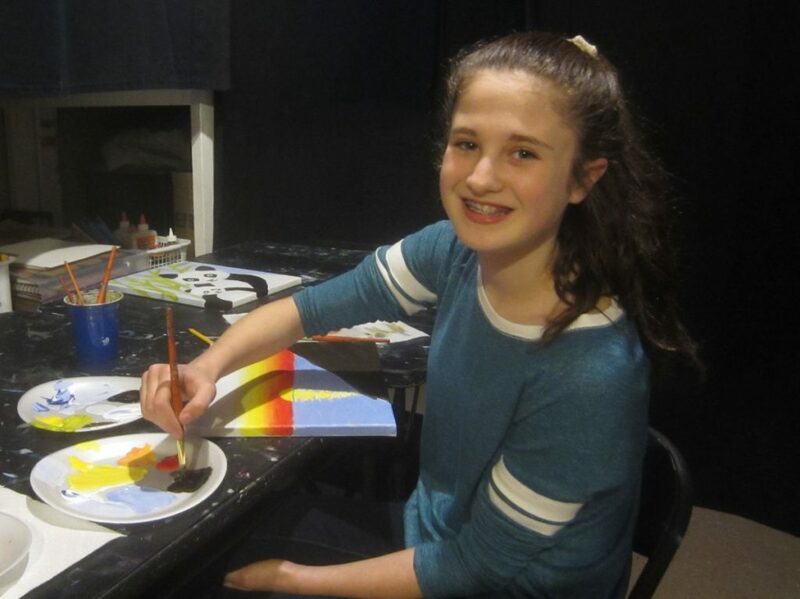 We’re looking forward to spring! Today the students drew a caterpillar on a leaf and flowers. 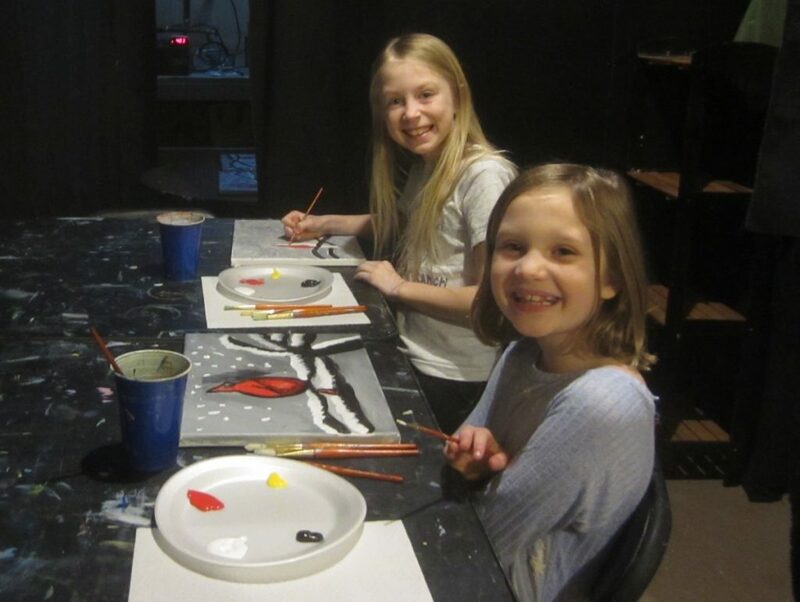 Then they painted the caterpillars in acrylic paint on canvas. 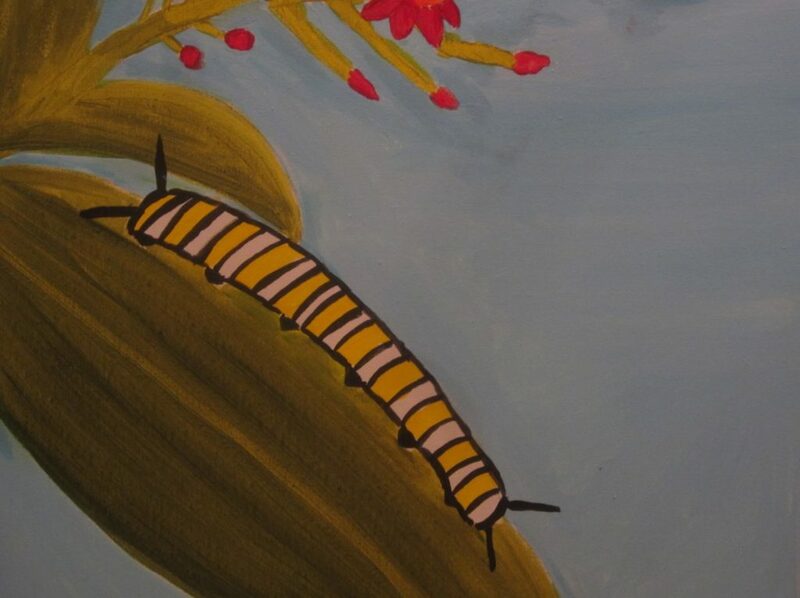 Scroll through the slideshow to see a finished caterpillar painting. Very cute! Spring is on it’s way! 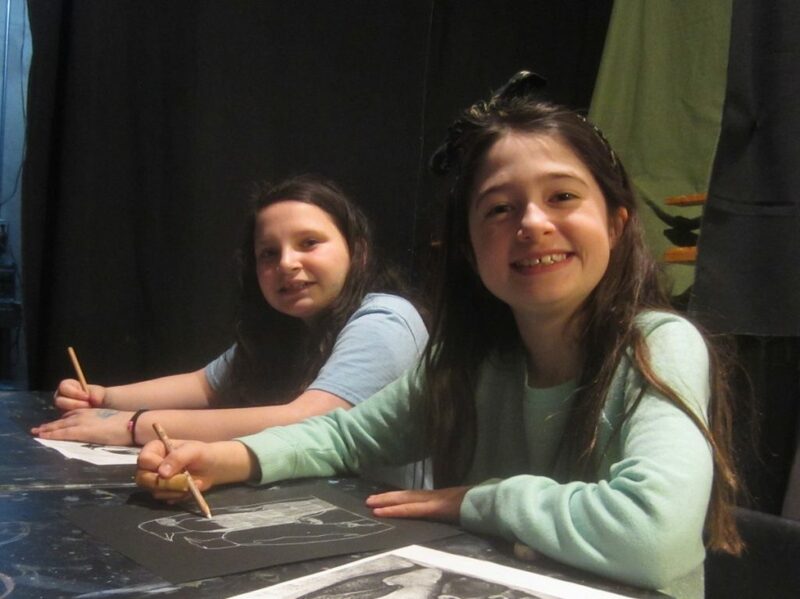 This week in art class, the students drew a robin in pencil on drawing paper. 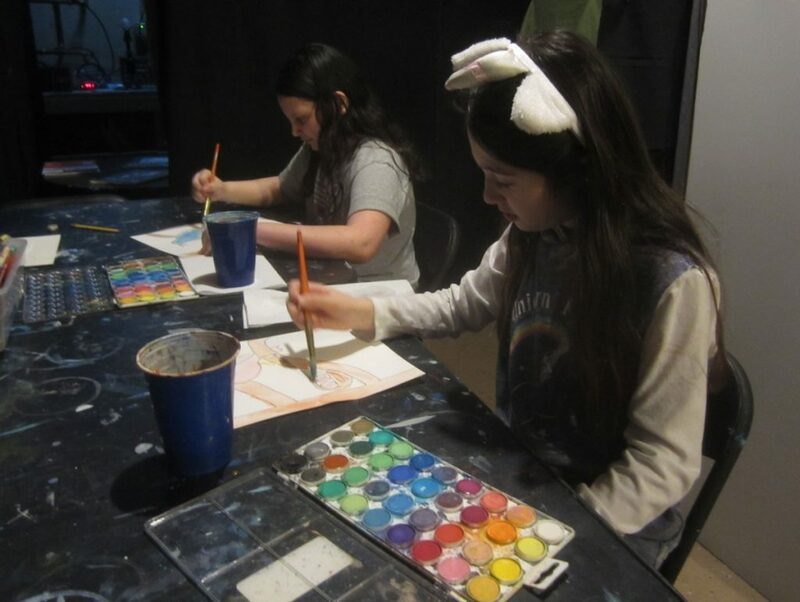 Then they transferred their drawings onto heavier watercolor paper and painted their drawings with colorful watercolor paint. Great job! 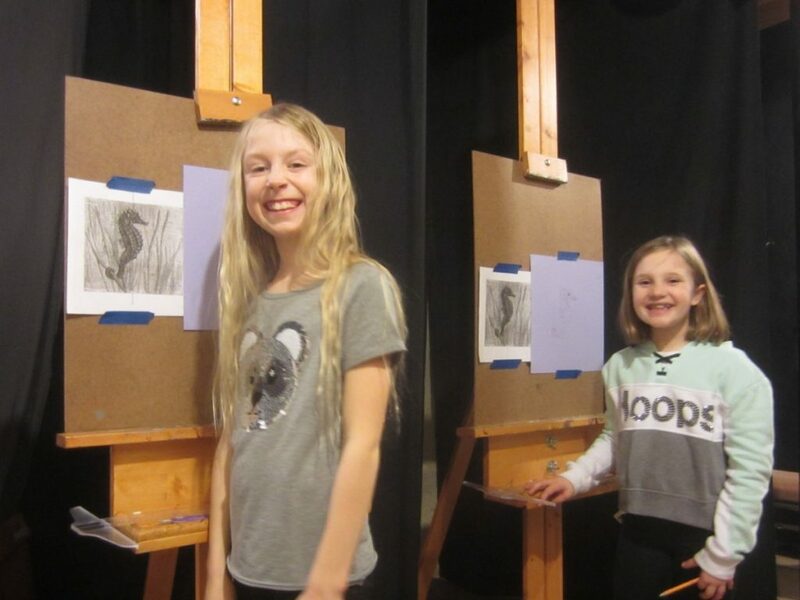 This week in art class, the students used the sight-size method of drawing at the easels to draw a seahorse and coral in white pastel pencil on colored paper. 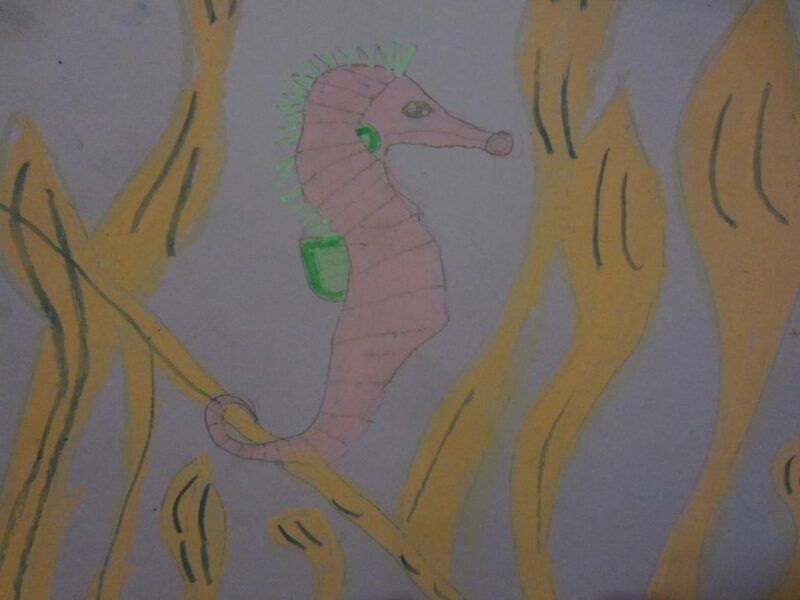 Then they colored their tropical underwater scenes with oil pastels. Stunning! 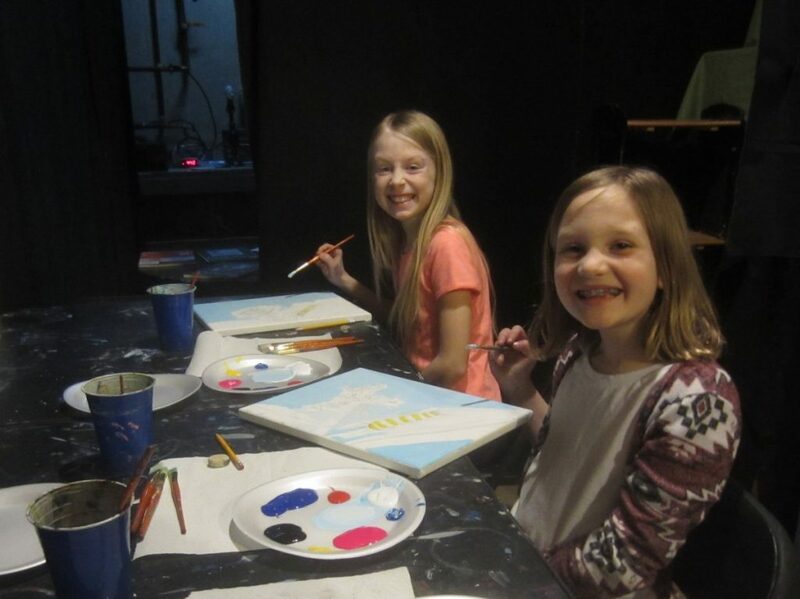 Winter was still hanging on last week, and in art class we drew a penguin family! 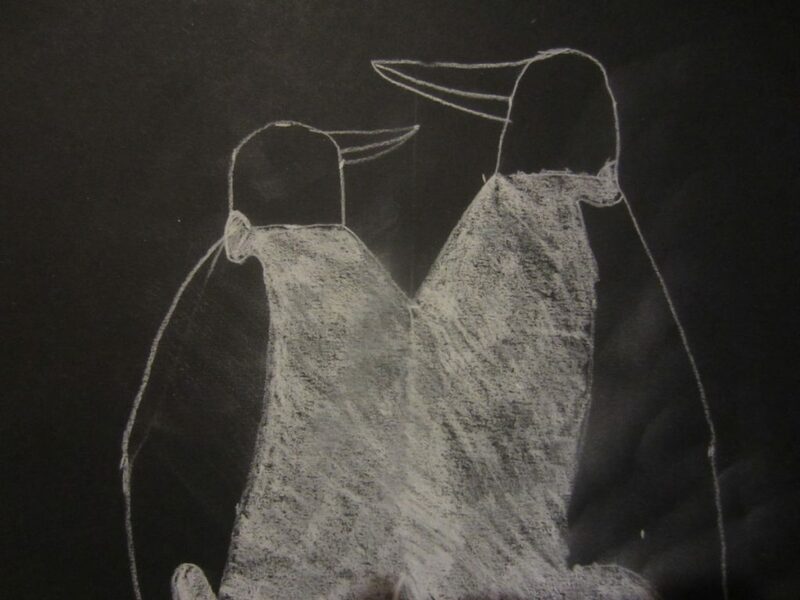 The students drew the penguins with white pastel pencil on black paper. 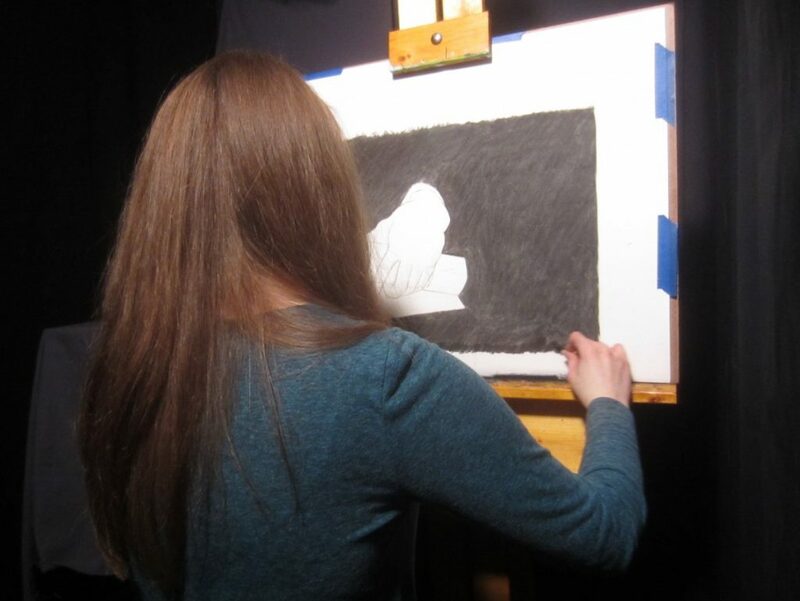 Then they used their white pastel pencils to shade in the lights and left the paper for the darks. They did a great job! Scroll through the slideshow to see a penguin drawing. It has been a cold, snowy winter! 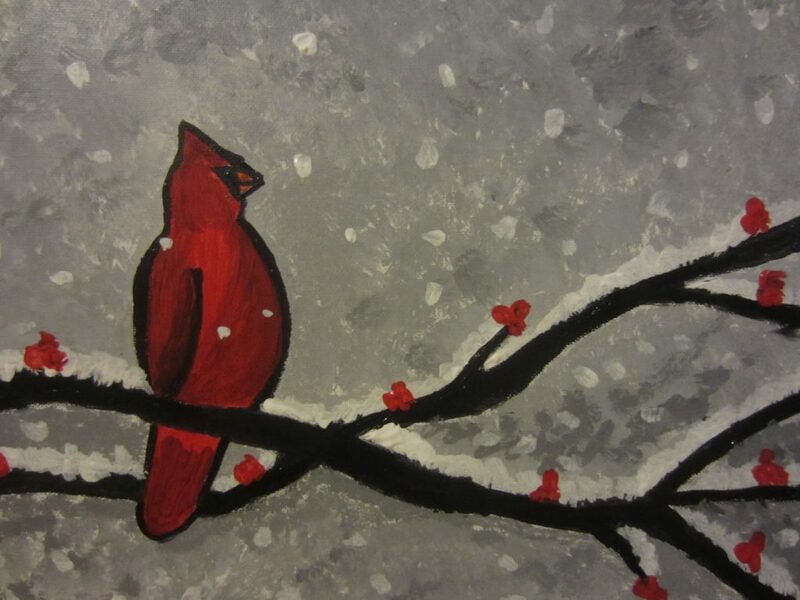 This week we painted a beautiful cardinal in the snow in acrylic paint on canvas. 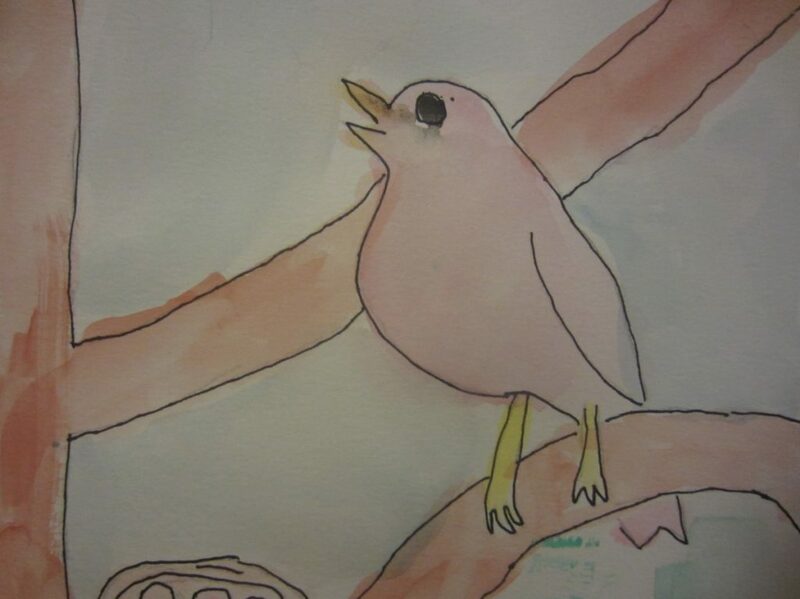 Scroll through the slideshow to see a cardinal painting. Great job! 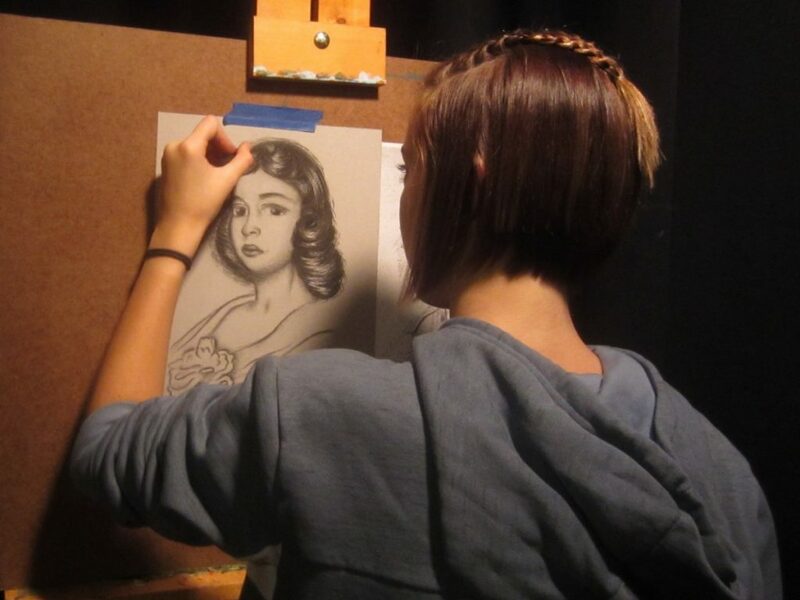 Using their sight-size drawing skills, my middle school students did a portrait drawing of a woman in vine charcoal on toned drawing paper. Wow! 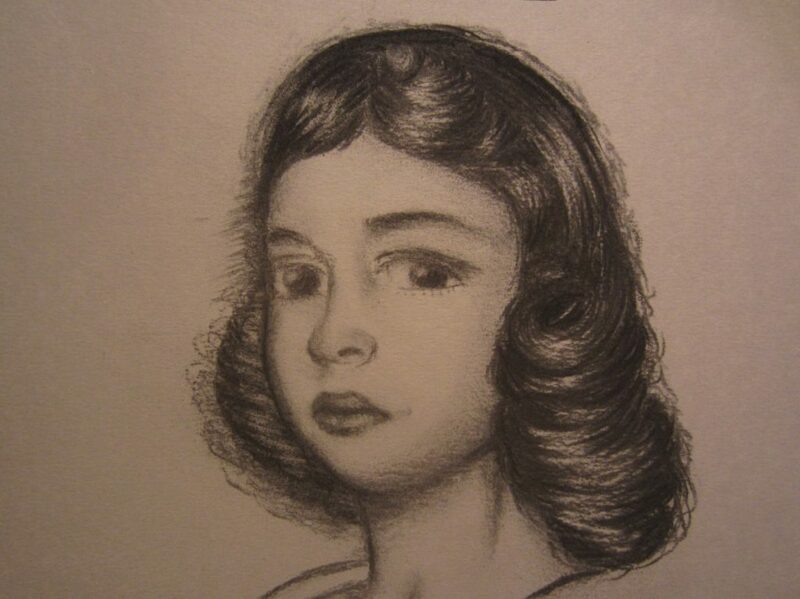 Scroll through the slideshow to see a finished portrait drawing. 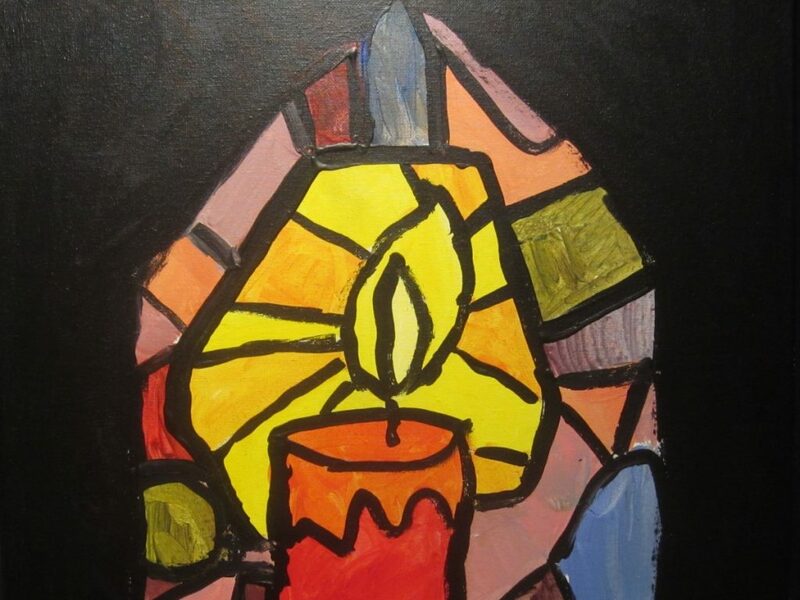 It’s the Christmas season, and this week the students painted a painting inspired by the lights and candles of the season. 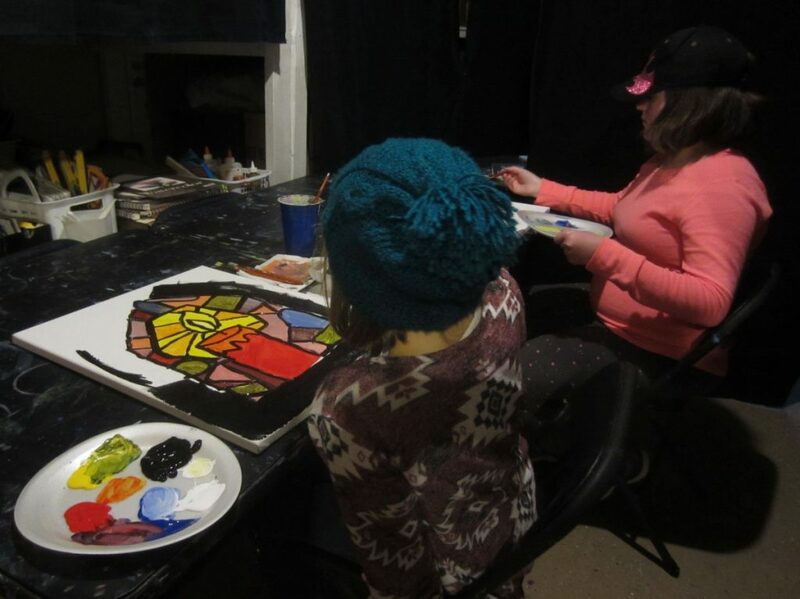 They painted a candle shaped into a stained glass window in acrylic paint on canvas. Great job!